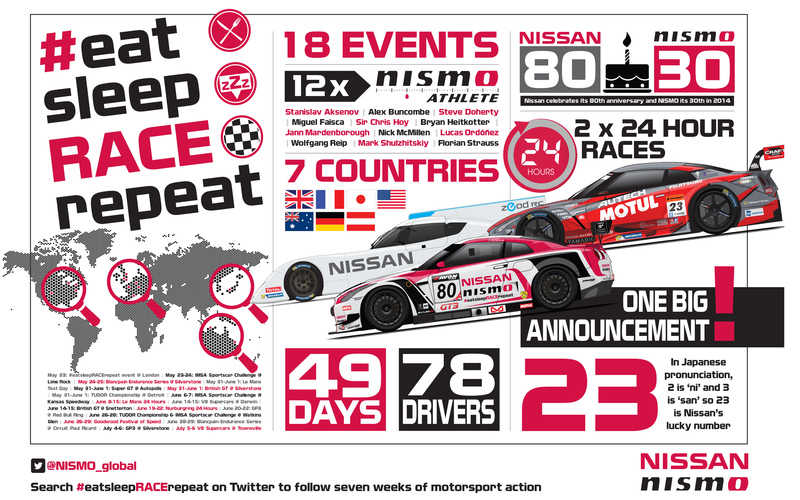 At the end of May, Nissan Motorsport announced they will enter the 2015 FIA World Endurance Championship including Le Mans with a full-factory effort of two LM P1 cars. 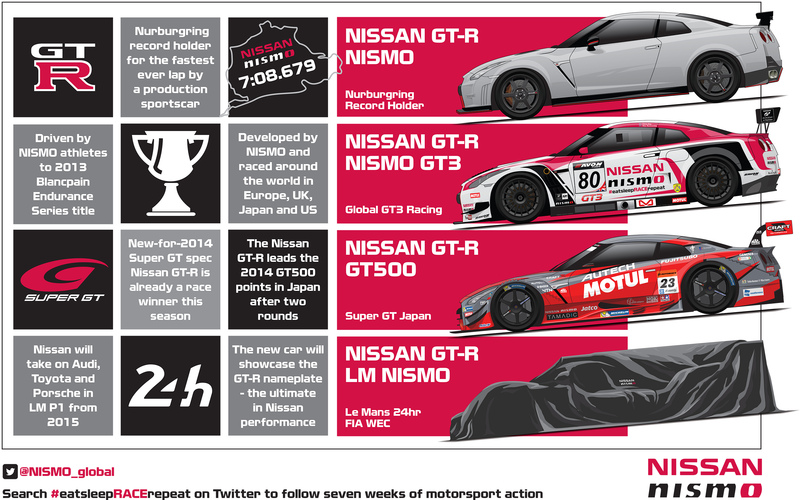 The car will be called the Nissan GT-R LM NISMO and will make its testing debut towards the end of the year. In addition to sponsorship of my Le Mans Spotter Guides, I was separately commissioned to create some supporting car illustrations showcasing Nissan’s current and future involvement. 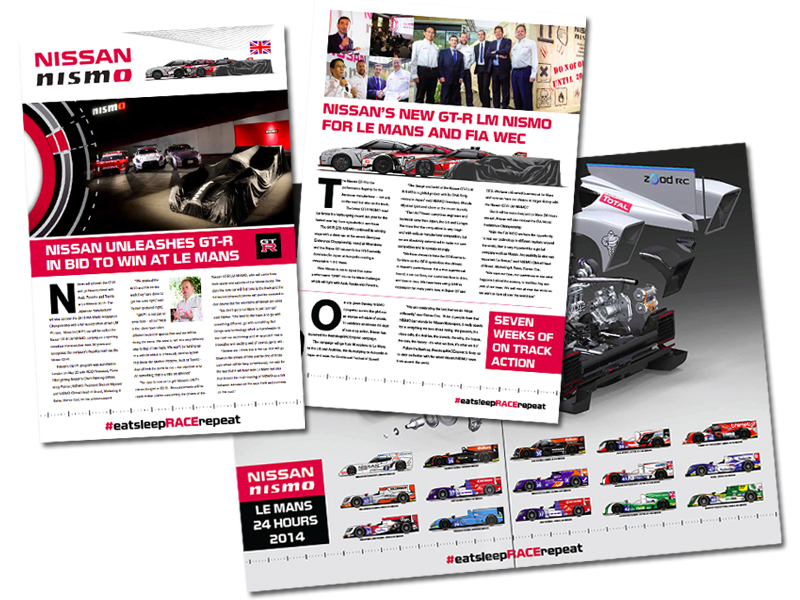 I produced a number of vehicle illustrations to support their media coverage for the announcement and for Le Mans. This is a great example of how illustrations can give a client a consistent message, free of different photo shoots and lighting challenges. 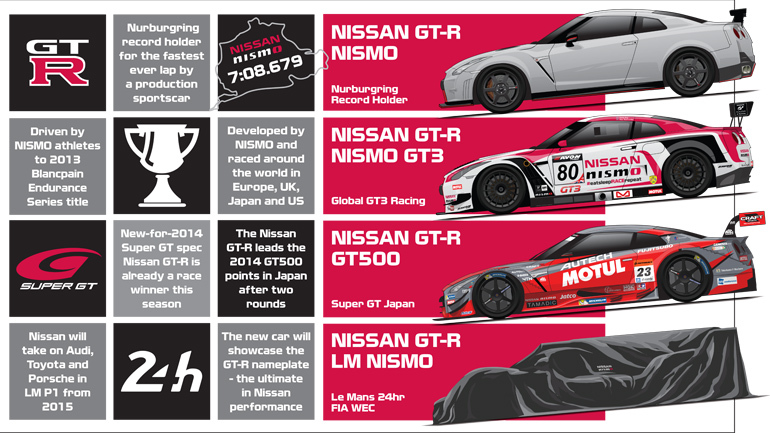 The images were utilized a number of times making them excellent value for Nissan. You can read more about this project in the dedicated post in my Portfolio Section.